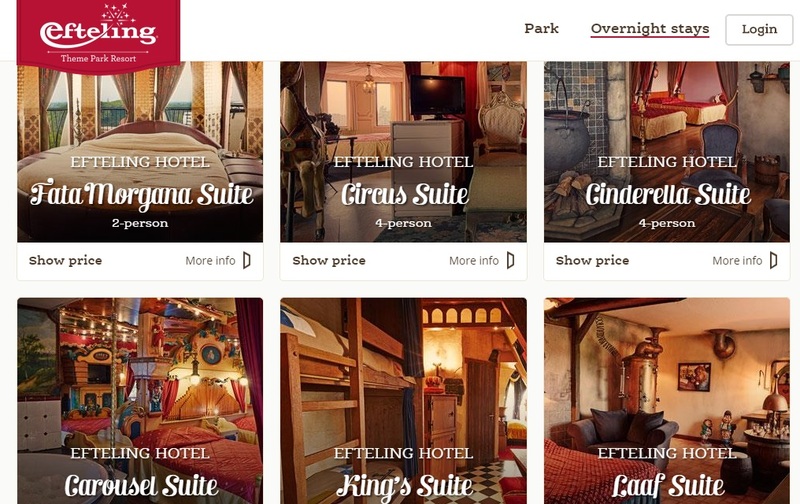 For a long time, the main part of Efteling’s website has looked a lot different from many of the other pages. 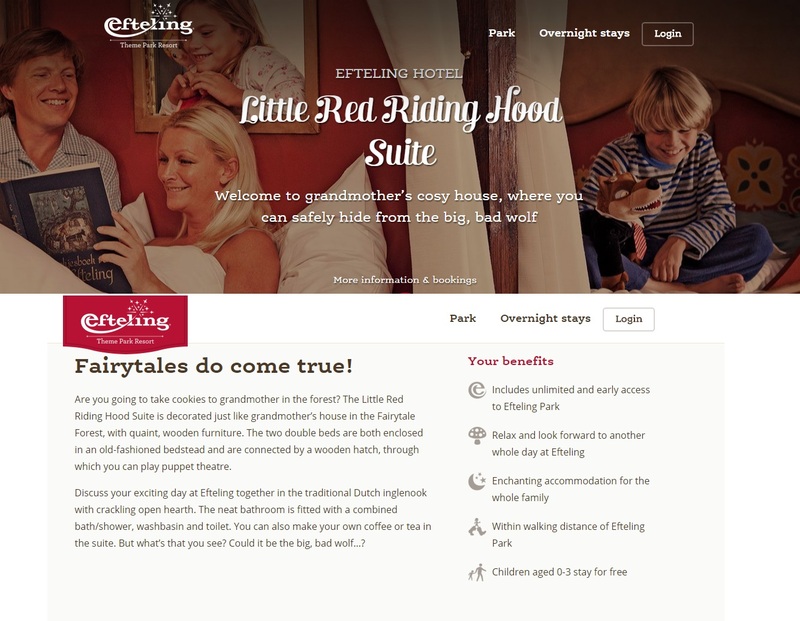 Some of the site was updated, the rest was not, for example; the booking accommodation pages were still the same as they had been for years. Until now! Those pages have finally caught up with the rest of the site, and they look wonderful. Aside from looking good, the pages function better, and there is a better explanation of amenities and what is included in the price of your room. There are also better explanations of what can be expected of each themed room (very important if you’re planning on spending the extra cash to stay in one of these rooms). Things are looking good! 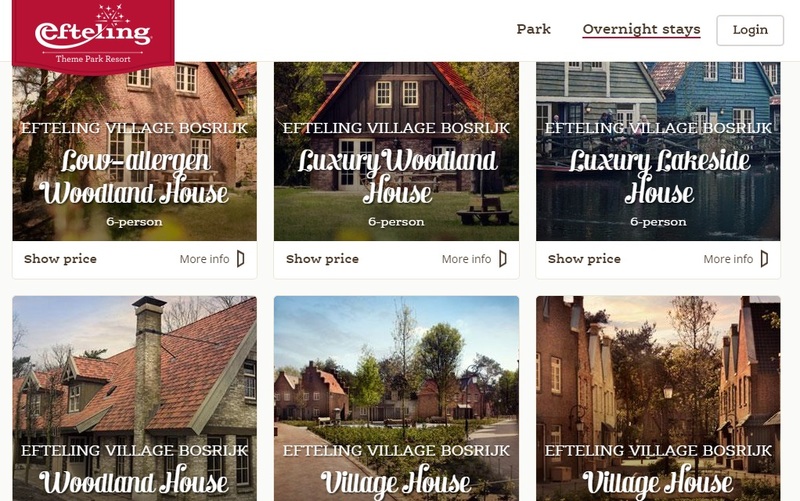 Oh, on the plus side, this is the English Efteling site. I know, I know, they’re spoiling us! 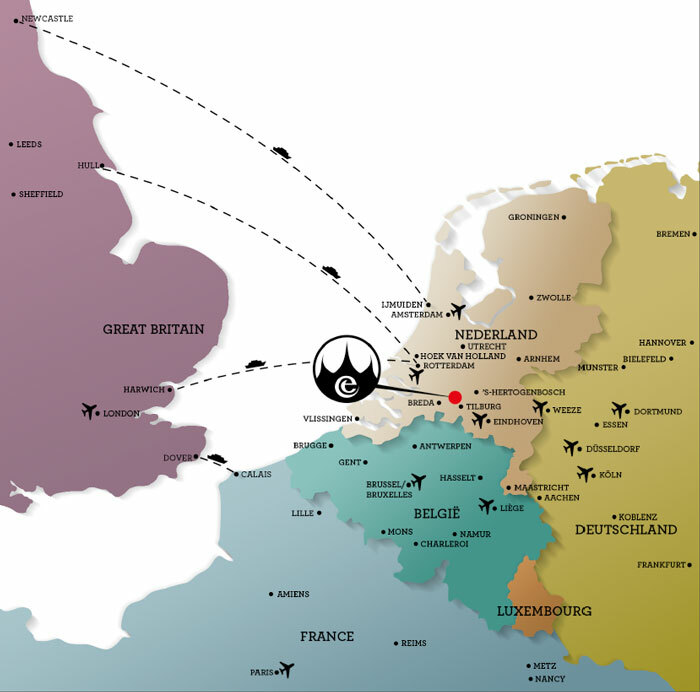 And another thing that us Efteling geeks might like to get excited about…wait for it…They have made a nice map showing how to get to Efteling from the U.K! Exciting times!